Quirat is something completely new but, at the same time, has an ancient culinary past because liqueurs, flour, and even a kind of honey and cocoa have always been produced from carob. Its name, invented by two young female entrepreneurs from Campos, has historical origins: the dried seed of the carob, with its uniform size and weight, is the origin of the measurement unit carat (quirat) – in former times used for the measurement of gold and gemstones. 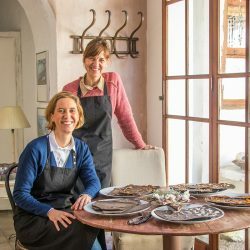 The idea for Quirat – Dolç de Garrofa (carob sweets) occurred to the two women while watching a TV documentary about an impending chocolate crisis. It said that the demand for chocolate would rise worldwide and consequently the price for cocoa as well. 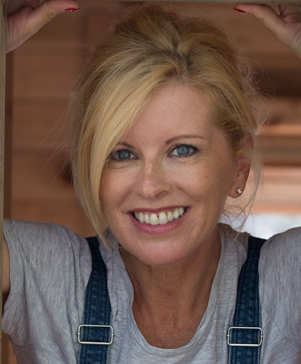 “We wanted to produce a chocolate made in Mallorca, from an abundant and organic product of the island, which also has a high nutritional value,” explains Stephanie. They began experimenting with carob powder, which naturally tastes sweet and is reminiscent of liquorice. The fruit contains minerals like iron and calcium, Vitamin A and B, and dietary fibre, and is gluten free – in times of superfoods and increasing gluten intolerance a useful quality, they both think. The flour is roasted after grinding, in order to kill possible bacteria and microbes; only then is it available for sale. At present, they source the carob powder from Es Garrover in Llucmajor. 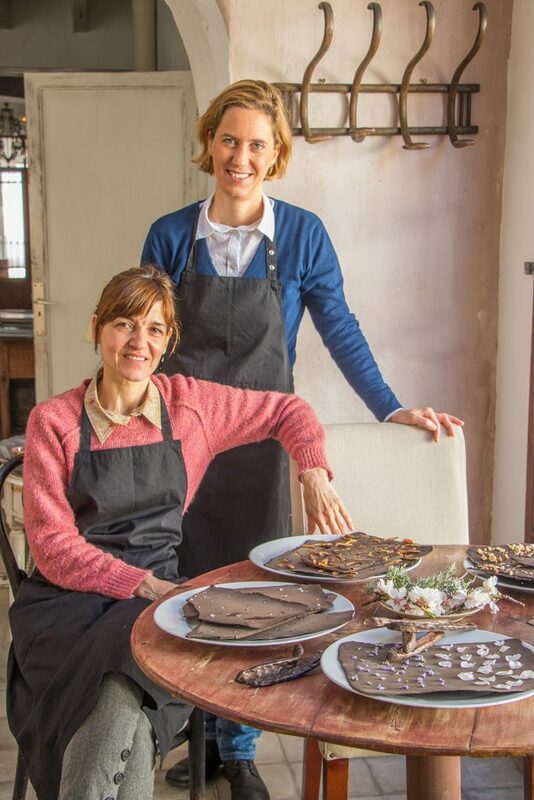 In the future, Mònica and Stephanie would like to grind their own flour and forge partnerships with fincas in order to help keep Mallorca’s agricultural landscape alive. Quirat is a pure natural product without any preservatives or artificial additives. Moreover, it is also a real slow-food product, as far as the development is concerned. It actually took the women almost a year to find the right mixture for their chocolate-like candy. “We experimented with various vegetable oils and sugars, with milk and cocoa, only to discover in the end that less is more,” says Stephanie, who already loved the creamy texture of the ‘Schoggistängeli’ of her Swiss home country as a child. It was supposed to be a tasty product – and virtually 100% Mallorcan. Apart from having added a little cocoa butter, they have succeeded. The mixture for Quirat consists of no more than five ingredients, the main one being carob powder. They are heated in a pot, stirred until creamy and then poured onto a tray lined with baking paper. While the chocolate-like mass cools down in the air, they distribute Flor de Sal grains, almond slivers, rosemary blossoms, orange and lemon peel, or dried apricot and fig pieces on the still-liquid surface. The ingredients for the ‘toppings’ also come from Mallorca. Later, the thin bars (also available as a sugar-free version) are broken into large pieces and individually packaged. Particularly attractive are the carob pods encased in chocolate, which look very similar to those on the tree. For the pod shape the businesswomen created special silicone molds. At the moment, the chocolate can be purchased only at the Bistro Cruz 20 in Campos, run by Stephanie’s family (about 80g for six euros). Larger chocolate packages for celebrations and events can be ordered (30 units in a plaited Capdepera basket 200 euros). “We have filed a patent application for Quirat and are now looking for a suitable place where we can produce and sell it,” says Mònica. Collaborations with delicatessen stores in Mallorca and in Switzerland are possible, but Quirat should always remain a local, handmade product and involve the artistic aspect. The Mallorcan creates extraordinarily pretty packaging for Quirat, as well as hand-signed boxes (20-25 euros) with her own sketches – unique pieces that make a special gift of a mix of Mallorca, art, and culinary delights.